Pirojsha Godrej, who is part of the Promoter Group that holds 68.8 per cent stake in the group companies, will be a Non-Executive, Non-Independent Director of Godrej Agrovet. Adi B Godrej resigned as the Director of animal feed and agribusiness company Godrej Agrovet on Monday, citing "personal reasons". The board of directors of the company, based on the recommendation of the Nomination and Remuneration Committee of the Board of Directors, also appointed his son Pirojsha Godrej as an Additional Director. Pirojsha Godrej, who is part of the Promoter Group that holds 68.8 per cent stake in the group companies, will be a Non-Executive, Non-Independent Director of Godrej Agrovet. After Adi B Gorej's resignation, the strength of the company board will remain unchanged with 14 directors, out of which seven are independent directors. 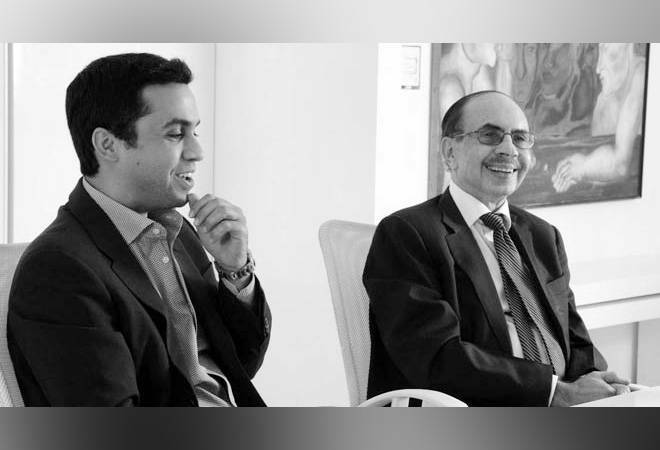 Pirojsha Godrej is also the Executive Chairman of Godrej Properties Limited (GPL), a real estate arm of the company. Besides, Pirojsha holds top positions -- director or additional director -- in as many as 14 of the group companies, including Godrej Consumer Products Limited, Godrej Properties Limited, Godrej Waterside Properties Private Limited, Godrej Vikhroli Properties LLP, Dream World Landmarks LLP, Anamudi Real Estates LLP, among others. In the fiscal year 2016, GPL emerged as India's largest publically listed real estate developer by sales, said the company in a regulatory filing. Pirojsha holds a bachelor's degree in economics from the Wharton School of Pennsylvania, a master's degree in International Affairs from School of International Public Affairs (SIPA) at Colombia University's and a Master's degree in Business Administration (MBA) from Colombia Business School, USA. As per the company, the 38-year-old Pirojsha Godrej has received several awards, including the 'Green Champion Award from the Indian Green Council' in 2016. He was also awarded 'Best CEO of the Year at the Construction Times Awards' in 2015, and 'Best People CEO Award' by the National Human Resources Development Network' in 2014 and 'Person of the Year" at the GIREM Leadership Awards in 2013. The board of directors also approved the financial results for the quarter ending September 30. As per its regulatory filings, Godrej Group's net profit rose by 18.5 per cent YoY in Q2 to Rs 89.3 crore, while its total income surged by 15.7 per cent to Rs 1,217.8 crore. Major investors in its group companies include Temasek, Aberdeen, Nomura, Invesco, JP Morgan, Ashburton, Kotak MF, SBI MF, Aditya Birla Sun Life MF, ICICI Prudential MF, Tata MF, and Reliance MF.